In a world first, US doctors have transplanted a kidney from one HIV-positive patient to another, BBC reported. "This is the first time someone living with HIV has been allowed to donate a kidney, ever, in the world," Dr Dorry Segev said in a release. 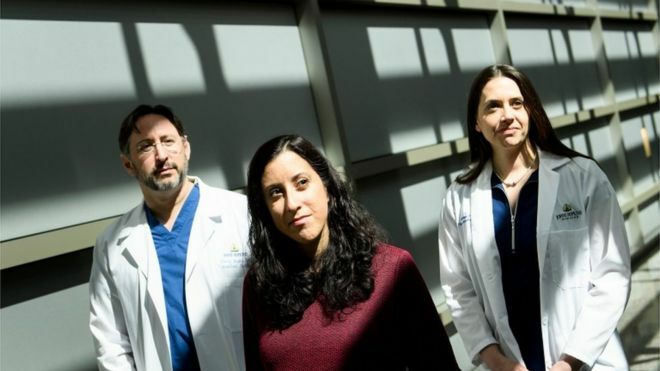 Dr Christine Durand, associate professor of medicine and oncology at Johns Hopkins, said that the operation "challenges ... the public to see HIV differently", while also advancing medicine. The patients were "incredibly grateful for this gift and now we just monitor for the long term outcomes," Dr Durand said. The operation was performed on Monday. Donor Nina Martinez, 35, from Atlanta, told reporters she was "feeling good". She was inspired to donate her kidney by an episode of "Grey's Anatomy," she said, adding that she was excited to be part of a medical first. The recipient chose to remain anonymous but was doing "beautifully", Dr Durand said. The breakthrough followed another significant development in HIV treatment. In only the second case of its kind, a UK patient's HIV became "undetectable" after a stem cell transplant earlier this month. There were about 37 million people living with HIV/AIDS in 2017, and the World Health Organization still ranks HIV as "one of the world's most serious public health challenges".